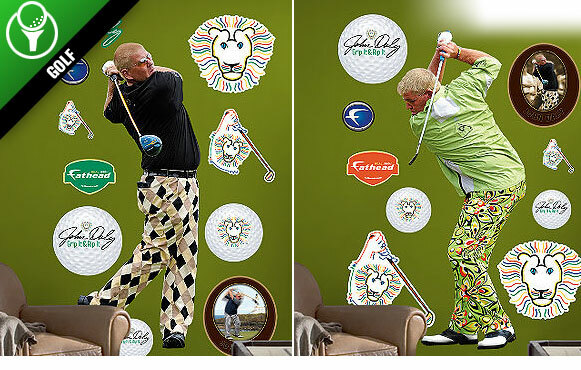 John Daly is a Fathead. No, that's not an insult to the two-time major champion; it's simply the truth. The wildly popular brand of life-size wall decals has branched out to the world of golf, with the sport's everyman serving as its initial subject. Whether you're watching him crush 330-yard drives or listening to him croon on one of his country albums, Long John's Fathead makes for the perfect companion -- and hey, it's much easier to put up than wallpaper. Between now and the end of the year, enter code "ESPN" and receive a 15 percent discount off online orders. Not a Daly fan? No worries. The company will soon be producing likenesses of other professional golfers, too.